The three-way alliance of Renault, Nissan and Mitsubishi Motors is planning a deal to work with Google’s Waymo to jointly develop self-driving taxis, Japan’s Nikkei said yesterday. The three automakers are finalizing tie-up negotiations with Waymo, a Google-affiliated developer of self-driving car technology, the business daily said on its website. The two sides are expected to announce details of the deal “as early as this spring,” it added. In September last year, the alliance decided to use a Google operating system for their cars’ information systems, and the tech giant has already forged similar deals with Fiat Chrysler Automobiles and Jaguar Land Rover. The report comes as the alliance reels from the arrest of Carlos Ghosn, the auto tycoon who forged and led the partnership before his shock Nov. 19 detention. His arrest and subsequent indictment on three charges has exposed rifts between Nissan and Renault, which, together with Mitsubishi, make up the world’s top-selling auto manufacturing group. Born in a Google lab devoted to big-vision new technology, Waymo became a subsidiary of parent company Alphabet in 2016. Waymo already runs a self-driving car service in Phoenix, Arizona. Those taking part in the service can use a smartphone application to summon autonomous vehicles any time of day to get about in an area about 100 square miles at its maximum, according to Waymo chief John Krafcik. 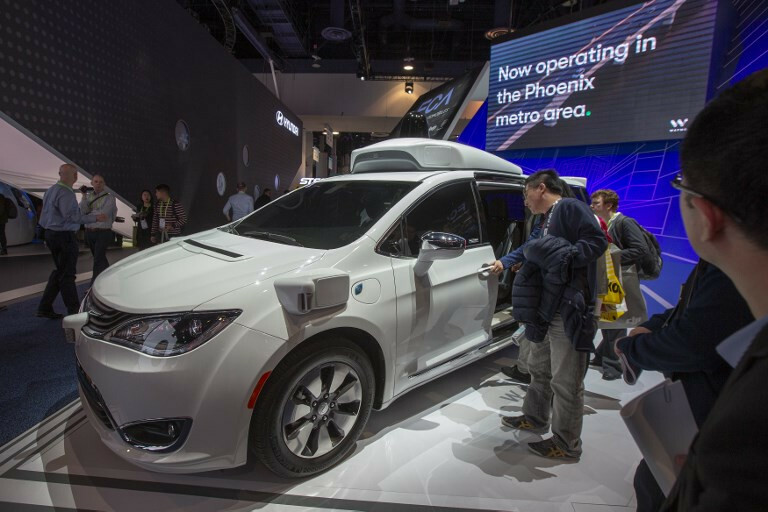 The firm last year announced it was adding as many as 62,000 Fiat Chrysler minivans to its autonomous fleet in an expanded collaboration announced by the companies.